Pink Castle Blog: All the pretty bundles! It's probably no secret that I love scraps. I love them. I love piecing things that sort of coordinate but don't exactly match. Which is why I am so drawn to low volume fabrics and projects. I would love to have a quilt without duplicate fabrics anywhere, each print it's own unique little snowflake. And Pink Castle sells scrap packs! 11 ounces of fabric - which is about 2 yards, roughly 4-9" wide by 44" long, and randomly assembled. But maybe that is too mysterious for you. The next best thing to scraps is precuts! 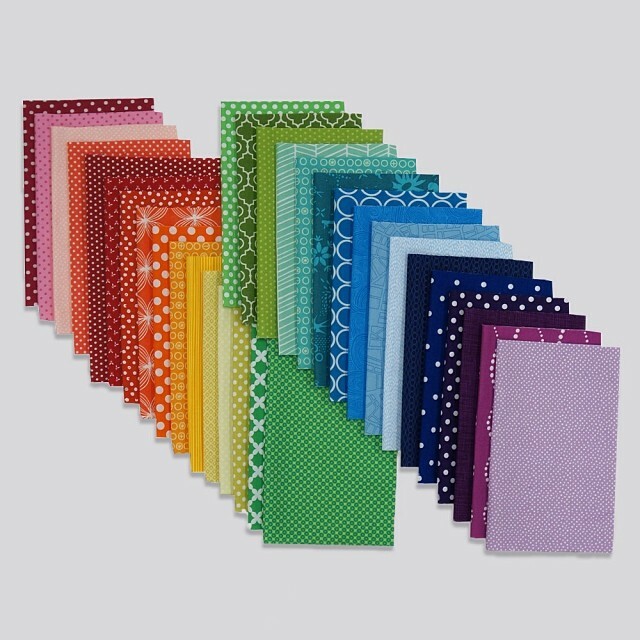 Charm squares are 5" squares, from a single line of fabric, with all the fabrics represented. The next size up is the fat sixteenth, a 9x11" cut. We stock several fat 16th packs, each with 32 unique prints. These are chosen by Brenda and the staff of Pink Castle! Currently, there are four: 32 Rainbow Way (pictured), Citrus Sunrise, Low Volume, and Scrappy Jewels. 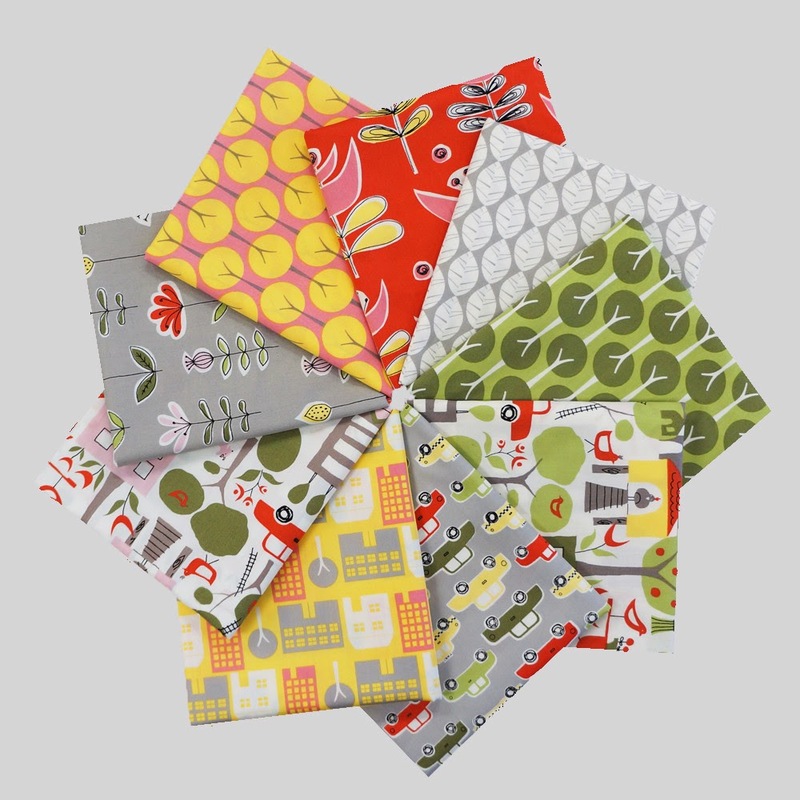 32 Rainbow Way is also available as a Fat Quarter and a Half Yard Bundle. The next larger size is the layer cake, a 10x 10 precut, like the charm square, it comes from one line of fabric. Mini Confetti Dots fat eight bundle, 30 prints! The next size, and my favorite, is the fat eighth! A fat eighth is 9 inches by 22 inches. 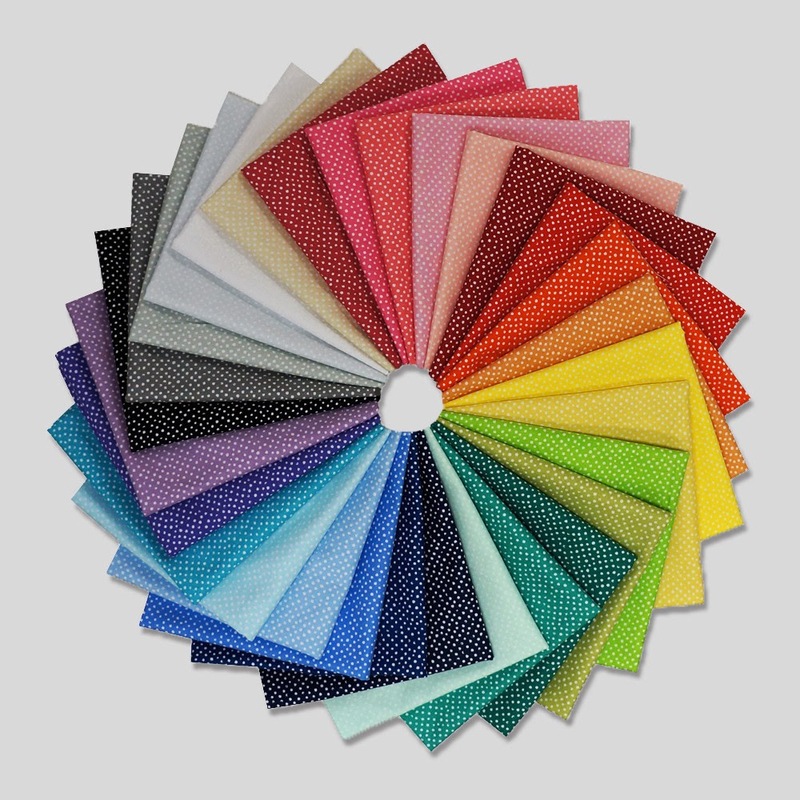 Some of these are assembled by the Pink Castle staff, and some of these are precuts from entire fabric lines that come to us from the companies. Or you can go for the mystery bundle, fat eighth packs - 8 fat eighths for $8 - come in Rainbow, Warm, and Cool flavors. Fat Quarters are next! Fat Quarters are 18" x 21". And many of these have recently been marked down, no coupon needed. 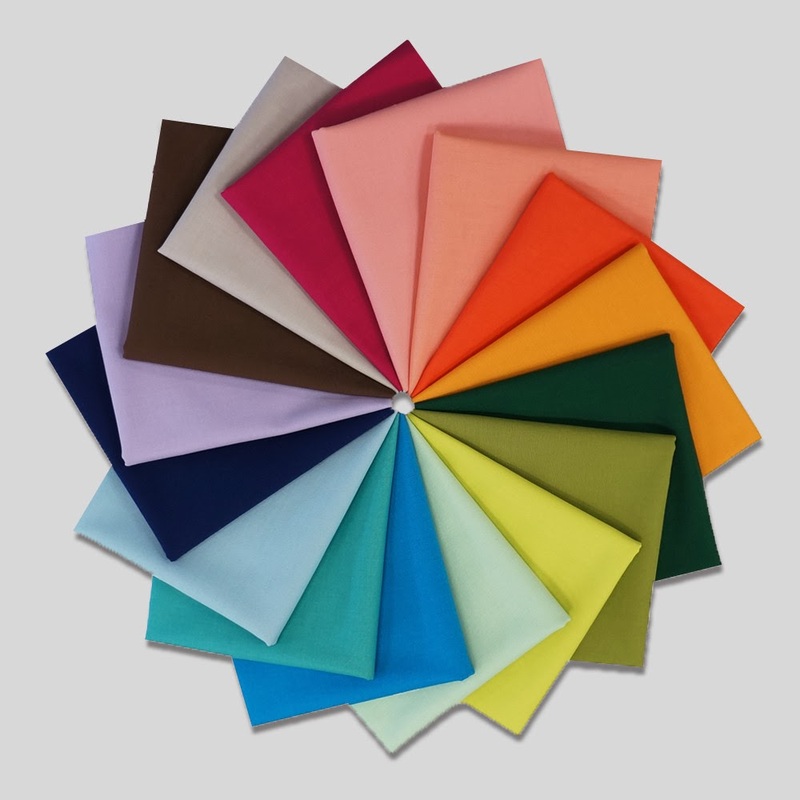 We have solid bundles, fabric line bundles, and blogger bundles - which are bundles put together by quilters and sewists, local and from around the world. Take a look through our bundles pages!